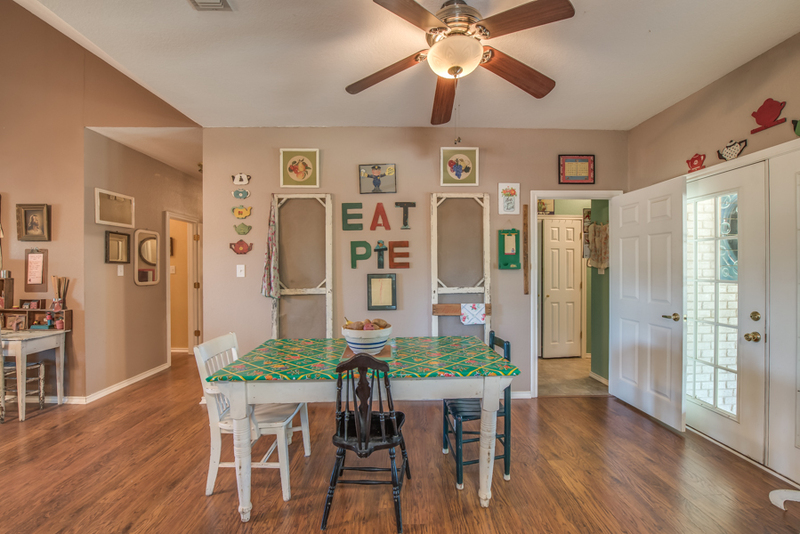 SOLD - Quaint Country Cottage minutes from town and I-20! The outdoor living areas surrounding this quaint country cottage set this home apart from the rest! There are so many places for you to sit and relax with your sweet tea after a long day's work! Both porches feature a large covered porch and large screened in sections which basically give this house extended living areas on both sides of the home! The front porch overlooks a beautiful canopy of trees and the view to the south, while the back porch overlooks the northern view, your large stone patio and your very own pinterest perfect chicken coop! (Chicken coop can stay or go, but why not keep these sweet layers and get country fresh organic eggs every single day?! Chickens are so easy, they just need water and food and occassional fresh pine shavings from the feed store!) If you've ever wanted to try having chickens, all the work has been done for you! Inside the home you will enjoy large vaulted ceilings in the main living room, along with a white brick fireplace that features your very own wood burning stove that heats the front portion of the house! This feature really helps with electricity costs in the winter, all while giving your home that cozy warm feeling during those cold February nights! The master bedroom has a door that exits right out onto the front screened porch, where you can have your own private sitting area off your bedroom! 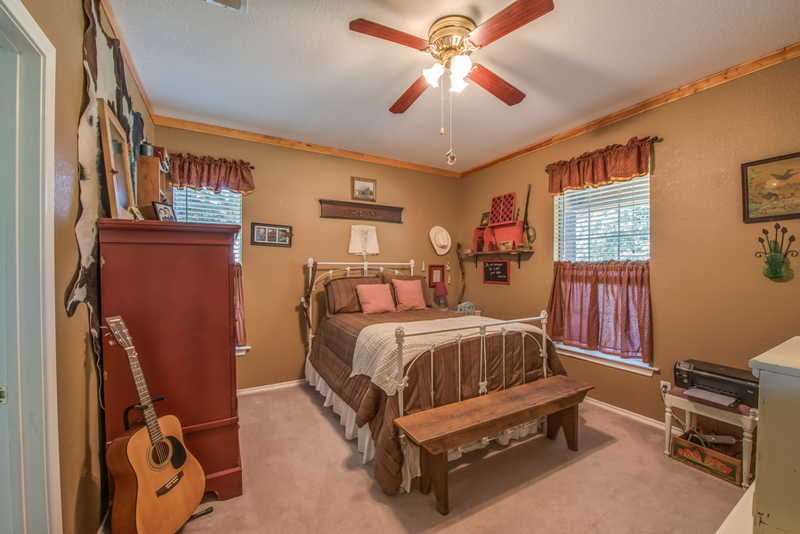 This home is perfectly situated right down the street from Greenwood Baptist, Ranger Highway and I-20, putting you on the freeway in 5 minutes. 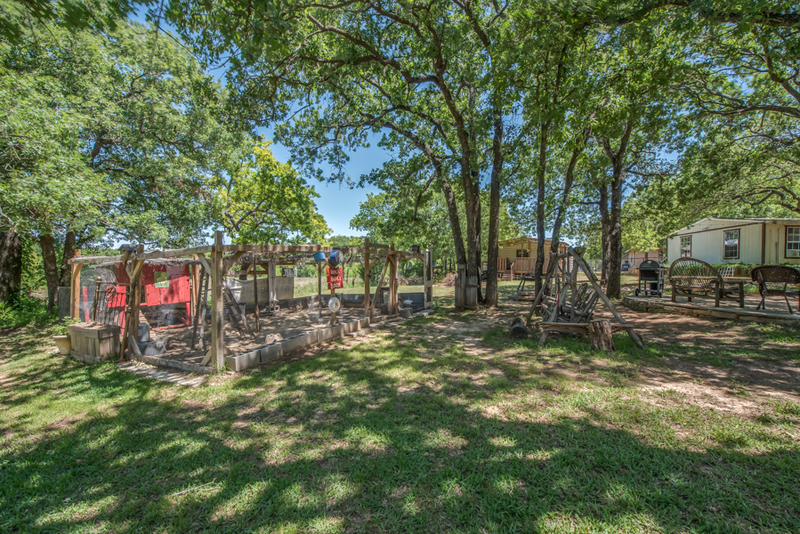 You can pop onto the freeway and be at work in Fort Worth in 25 minutes from this home, all while enjoying the benefits of the peaceful country life and excellent Weatherford ISD schools. I WANT TO SEE THIS HOUSE! Texas Law requires that I provide the Texas Real Estate Commission Information about Brokerage Services and the Consumer Protection Notice to all prospective clients.